The conference named Treasure Coast Business Summit will gather together professionals from all over the country. The conference named Treasure Coast Business Summit will gather together professionals from all over the country. The freshers are also included in this summit. The professionals are going to share the ideas about new business strategies, improving aspects of business in this summit. There also will be discussions about the problems of this sector encountered by the freshers and the experts will give their valuable solutions to the freshers. The summit will help to build up a huge network where the business benefit will increase. The TCBS has continued to grow and provide an enriching experience for all attendees, vendors, and sponsors alike. 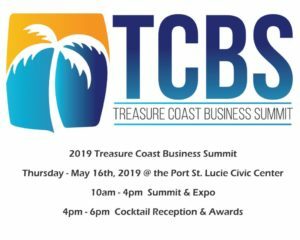 The TCBS is the perfect opportunity to create business to business relationships and posture yourself and your business to meet the changing needs of our growing community. Make plans to attend the 2019 TCBS today!